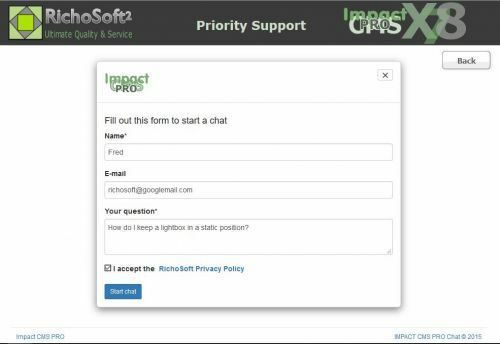 Get support directly from within Impact CMS PRO and PRO+ with Live Chat and Messaging with this easy Install FREE Plugin. Impact CMS is probably the ONLY CMS system both designed specifically for WebPlus and in a single WebPlus WPP + Asset Pack. The X7 system will allow the client editing of X6, X7 and X8 client sites. The new version 4.2 also allows easy plug-in installations.